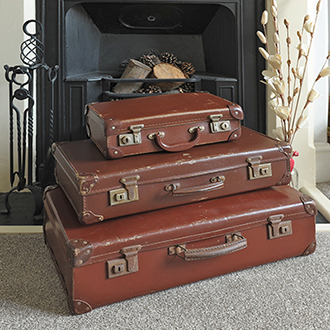 A lovely ‘triple set’ of vintage suitcases to add a touch of nostalgic, ‘bygone travel’ charm to your vintage style wedding. A beautiful way to display your wedding plan, stacked to create different heights for props and signs, a lovely container for order of service cards, to collect wedding cards or contain favours for guests! Endless charming possibilities. 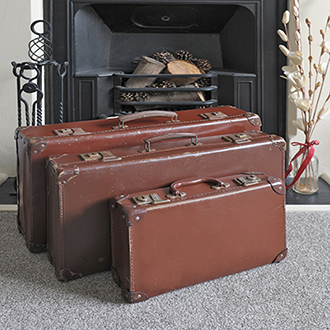 We are hiring our suitcases for £8.00 (small), £10.00 (medium) & £12.00 (large), or all three for £25.00. Please enquire about delivery charges outside of five miles.